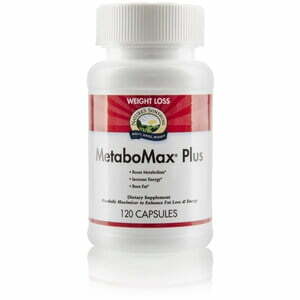 Nature’s Sunshine MetaboMax Plus is formulated with ingredients that help increase thermogenesis and metabolic fat burn as part of a program that includes healthy diet and exercise. MetaboMax Plus contains caffeine from natural sources, and can give that extra boost you need to fuel your workouts or kickoff your workday. Note: Too much caffeine may cause nervousness, irritability, sleeplessness, and occasionally rapid heartbeat. Not recommended for use by children under 18 years of age. 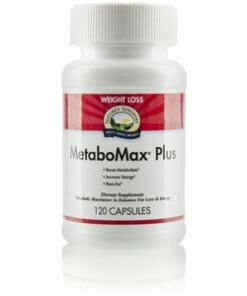 For a caffeine-free alternative, check out MetaboMax Free. Instructions: Take 1-2 capsules three times daily with food.